The prime minister said that there was a negative perception surrounding Malaysian-made cars, with some quarters urging consumers to purchase a foreign-made vehicle instead. And this perception has led to scepticism about the third national car. “They say don’t go producing a third national car, because it is bad, that it is a waste of money. Dr Mahathir Mohamad in the NIO EP9 — the world’s fastest electric car. It was driven by motorsports racer Jazeman Jaafar. “You see, you think they know the technology involved here. You see the engine just now?,” referring to the NIO EP9 — the world’s fastest electric car — in which he took a ride. “You know nothing about automotive engineering. “This is why we are introducing the third national car, to learn. Please learn to learn,” he told reporters after the Asia GT Festival at the Sepang International Circuit. Also present was Youth and Sports Minister Syed Saddiq Abdul Rahman. Mahathir went on to cite China’s success in the automobile industry. 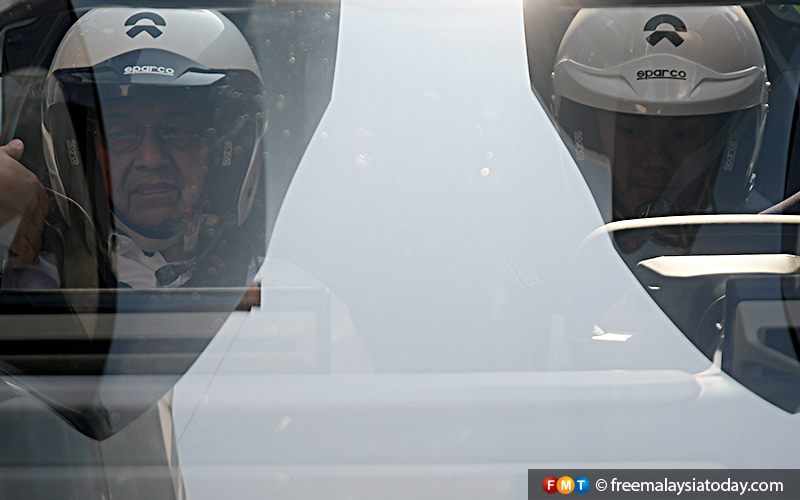 Dr Mahathir Mohamad getting ready for a ride in the NIO EP9 — the world’s fastest electric car. Putrajaya had last year said it would launch the third national car project by 2020, with Mahathir saying it would be implemented by the private sector. He had expressed his ambition to start a new national car project in June, saying Proton, which he founded in 1983, was no longer a national car. 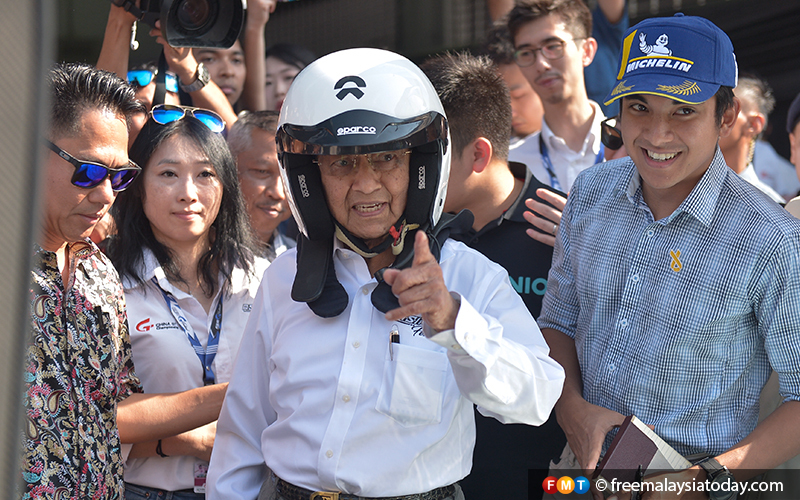 Mahathir earlier flagged off a race at the event, going on a ride around the circuit in the NIO EP9. “It was very thrilling. My heart rate went up to 140,” he quipped.